fabulous motherhood: Further mark down for 1st Annual International Education & Parenting Conference (IEPC) tix! Further mark down for 1st Annual International Education & Parenting Conference (IEPC) tix! I found this really really a good news..
RM 300 per tix recently quite a big chunk for us, as I really wished to attend with my hubs which will cost us around RM 600 *pitam*.. I plan to submit registration this week (after considering all things), and I received good news on last Friday from the aunties at my kiddos school, that ticket has been reduce to RM 100 per pax for 1 day event..Alhamdulillah! 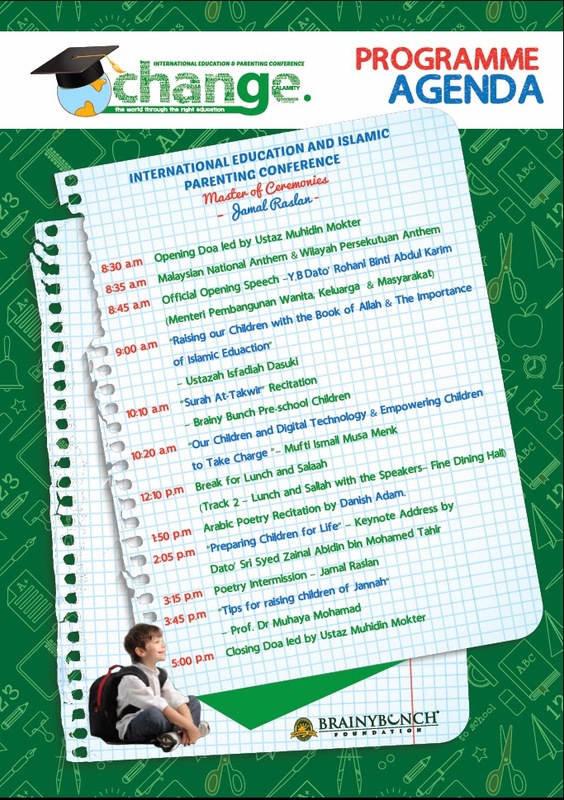 So for those who interested to join this 1st international edu and parenting conference, kindly register now at the website here. There will be 1 full day event from morning till night..
And glad they provide good activities and child care for kids during the conference and we can bring our kids for concert at night. ps: Brainybunch offered RM 60 tix for BBIM parents for purchase of 5 tix. So if anyone interested to join the conference and to combine purchase with me, I need 3 more parent by today, before 5pm. Do email me at nadya_1901@hotmail.com. Only for those who serious to attend! Glad the price was reduced :) I think it's great the kids get taken good care of while parents learn without distractions.